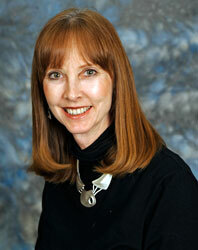 Karin K. Ogden Roberts, Ph.D.
Karin Roberts believes that with hard work, anything is possible. These words of wisdom from her father have carried her through her life. A highly skilled nurse and professor, she has impacted the lives of thousands of people emotionally, physically and academically. Roberts spent 30 years teaching at the Research College of Nursing as an instructor, professor and then adjunct professor. A highlight of her teaching was bringing her students to catholic schools in KCK to administer healthcare screenings. In 2008, she took a position as an education coordinator for the Assessment Technologies Institute. Her work revolves around developing standardized tests for nursing students, and curriculum software for nursing schools. Volunteering as a candy striper during high school piqued her interest in the field of nursing. Armed with a $300 scholarship to Kansas City Kansas Community College and lots of determination, Roberts earned her associates degree in nursing. She used her ADN degree to work her way through the University of Kansas, where she earned her bachelor’s degree in nursing. She continued that same pattern to obtain her master’s degree and Ph.D. from KU. In all, she spent 10 years attending school and working. Raised with loving and devoted parents, her biggest obstacle growing up was her shyness. A turning point in overcoming it came when she earned a small role in a school play. Later in her career when she began presenting and teaching, she imagined herself on that same stage to overcome her fear. Roberts’ list of scholarly activities includes research, grant writing, educational technology, consulting and dozens of presentations and published works. Though she is proud of her career, she is more proud of her two sons, to whom she gives the same advice that her father gave her.